Located in the harbor of Newport Beach, the man-made island of Lido Isle is one of the most unique private communities within the Newport Beach, and perhaps all of Orange County. While moving in and out of an island residence may sound like a challenge, there is no job too complex for the crew at Coast Valley Moving & Storage, Inc. Our experienced Lido Isle movers understand the unique circumstances of island living, and we’ll work with you every step of the way to ensure that your relocation is a seamless, stress-free process. Whether you are moving within this Newport Beach island community or to a brand new state, our trained movers in Lido Isle can ensure that all the details of your household move are handled professionally. 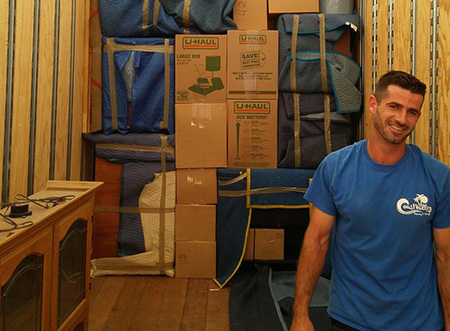 We offer a variety of moving and storage solutions that can be customized to your needs, and our BBB-accredited Newport Beach moving company is the most trusted in the region for providing exceptional value and customer care. When it comes to Lido Isle movers, nobody offers the professional service and quality like Coast Valley Moving & Storage, Inc. Through our affiliation with Wheaton World Wide Moving, we have access to a global resource network and state-of-the-art equipment that allows us to easily coordinate any size household move—allowing our Lido Isle movers to take you anywhere. Local Movers: Move around the island or throughout Newport Beach with ease when working with the experienced local Lido Island movers of Coast Valley Moving & Storage, Inc.
Interstate Movers: If you’re in need of interstate moving services, there is nobody more qualified to handle your relocation than our full-service professional interstate movers in Lido Isle. International Relocation: With attention to detail and customizable moving plans, we can make your international move a seamless experience. Household Storage: Unlike other moving and storage companies, we offer competitive short-and long-term secure storage to help with any household moving and storage need. Take the first step today in learning more about how Coast Valley Moving & Storage, Inc. can take the stress out of your next relocation! To get started, just give our Lido Isle movers a call, or fill out our simple online form. One of our relocation professionals will gladly answer any questions you have and get you set up with a free, no-obligation in-home moving estimate.